So you took your car to get the required emissions test…and you failed. Now what? In the unfortunate event that happens, call or stop in to Kranz Service Inc right away. We will be sure to do a FULL diagnostic overview of your vehicle to determine where the issue is originating. Once we have discovered the issue, we will work with you to go over your options. In the event that you need a repair, do not worry, because, we repair vehicles that have failed or been rejected for system monitors. 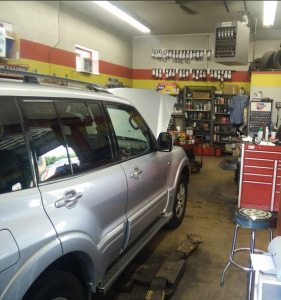 Kranz Service Inc is a family owned and operated, full service automotive repair shop that has been located in Barrington Illinois for over 70 years. We are available for service of any make and model, both foreign and domestic. We take great pride in being a 3rd going on 4th generation business that has been recognized as one of the most trusted auto repair shops in the Barrington Illinois and surrounding Northwest Suburbs area. High quality service and affordable pricing, thats the Kranz Service Inc way! Kranz is open – Monday through Friday 7:30am to 5:30pm.